The man was also found to be in possession of a card reader data collector software disc. Roosevelt, NY - March 18, 2016 - The Major Case Bureau reports the details of an arrest for possession of forged instruments that occurred in Roosevelt on Thursday, 03/17/16 at 5:35 P.M. According to detectives, during a VTL investigation on Colon Rd./Hausch Blvd., First Precinct police officers found the operator of the vehicle, Warren Mimms, Jr., 21, of 131 E. Pennywood Ave., Roosevelt, to be in possession of marijuana, three forged credit cards, and a card reader data collector software disc. Mimms is being charged with three counts of Criminal Possession of a Forged Instrument 2nd Degree, Unlawful Possession Marijuana, and two VTL equipment infractions for Side Windows Excessive Tint and Operate MV with Obstructed Vision. He will be arraigned on Friday, 03/18/16 in First District Court, Hempstead. 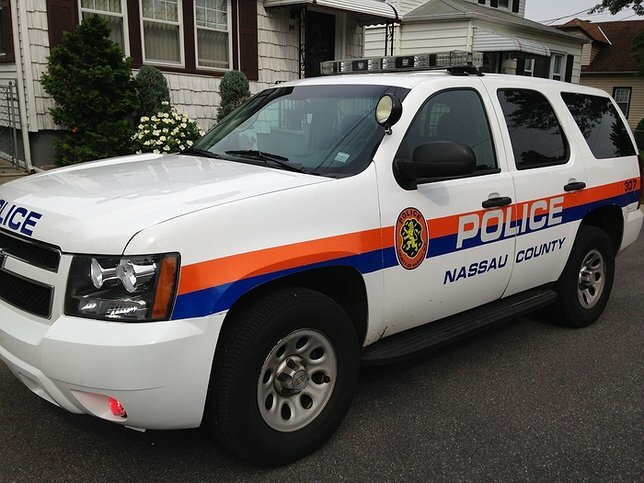 Subject: LongIsland.com - Your Name sent you Article details of "Roosevelt Man Arrested for Forging Multiple Credit Cards, Drug Possession"